Rob Heppell: Welcome to the “Your Best You Today Show,” I’m your host Rob Heppel and joined as always with health expert, Dr. Kevin Jackson. 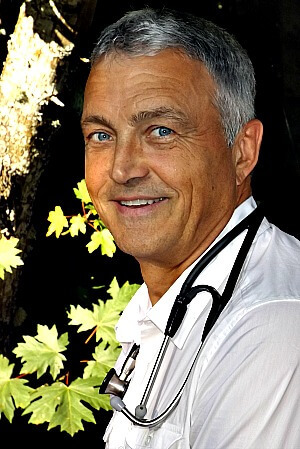 Dr. Kevin is a Naturopathic doctor who’s been helping people find natural solutions to health issues for over 25 years. With the Your Best You Today online radio show, we’re going to dive into the common health issues and explore natural solutions to them. Welcome back, Dr. Kevin. Dr. Kevin Jackson: Hey, Rob. Thanks for having me. Rob: Hey, what are we going to be tackling today? Dr. Kevin: I wanted to talk about artificial sweeteners. We’re surrounded by these substances on a regular basis. I think it’s great to pass on some of the information that I think most people really don’t know about when it comes to what they’re ingesting when it comes to these artificially sweetened foods. Mainly soft drinks, but many foods nowadays are actually sweetened with these artificial sweeteners. Rob: We’re going to be looking at these substitutes that are no calorie and they’re a substitute for sugar, right? Dr. Kevin: That’s right. This is really how they were pushed in the very beginning. Because they have no calories in them and because weight loss is such a huge industry in the world, something that tastes sweet that has no calories, it’s a big deal. That’s why so many people ingest these products. Rob: Now, we’ve talked about sugar a.k.a white death on previous programs. We’d assume that these no sugar alternatives are better. But since we’re talking about them, I’m guessing that they’re not. Is that right? Dr. Kevin: You’re right on there, Rob. I want to go through the three main or most common artificial sweeteners. Let’s just look at what they’re all about and why people should consider not ingesting these things. Let’s start with sucralose. Most people are familiar with it. If you’re in the coffee shop, this little yellow packet that says Splenda or sucralose on it. It’s a no calorie substitute along with others that people often put in their coffee or they may see it in their favorite soft drink. One of the reasons that sucralose came on to the market was that early research showed that sucralose passes right through the gastrointestinal tract undigested. You don’t even absorb it. That was the original thinking behind this product. As a result, everybody jumped on the band wagon, and said, “Here’s a great sweetener that doesn’t get into your bloodstream at all. Therefore, there are no concerns with it.” New research actually shows that it is metabolized. It can cause a number of issues once it is in the bloodstream. Rob: What are some of these side effects of sucralose? Dr. Kevin: One of the more common ones, Rob, is that it…we all probably heard of good gut flora or the good bacteria that live in our gastrointestinal tract. It’s so important and it often gets killed off if we take antibiotics. A lot of the yogurt commercials out there right now are promoting their product, because it contains probiotics or the good gut flora. Sucralose has been shown to alter the amounts and quantities of these beneficial microbes that hangout in our gastrointestinal tract by as much as 50 percent ie. reducing them by as much as 50 percent. The alteration in bacterial counts can be associated with weight gain and obesity. That’s definitely a concern. The other issue around sucralose is that it limits the absorption of some therapeutic drugs, such as those for cancer and heart disease and makes them less effective. A lot people bake with Splenda or you can actually buy things that are made with Splenda that have been baked to reduce calories and to take the place of sugar. But it decomposes during baking and that releases potentially toxic compounds called chloropropanols. The jury is really out on chloropropanols because there’s a lot of thinking behind the fact that these may actually be quite poisonous to us. A real kicker is that sucralose can alter insulin responses and blood sugar levels. It’s also been associated with inflammatory bowel disease. There are some questions that it might even alter genes in some research that’s been done. The very reason that people are using something like sucralose is that it can hopefully take the place of sugar. We’re already talked about sugar. One of the nasty things or the scary things about sugar is that it increases insulin and increases the insulin response, which causes a host of problems in our body. Now the research is showing that sucralose is actually doing the same thing, along with some other nasty things, too. That’s a bit of a concern. Rob: Before we go on to the next topic, I know that my mom, wherever she goes, in her purse she has a bunch of Splenda in there for her coffee. She carries all these little yellow packages around, or little pink packages. I’m not sure what brand name it is. I don’t know if we’re going to cover this in the other two topics that you talked about. Is it better for her just to have sugar? To have brown sugar, to have honey? She’s 77, I’m not going to get her off of her coffee or her tea, and she’s going to probably want it sweetened. Out of everything natural or unnatural, what would be the best? Dr. Kevin: The best option is stevia. There are many different brands of that. There’s one available in the United States called Truvia, that a lot of people like, because it has a little bit better taste than most Stevia. Stevia across the board is the safest by far, and it’s very sweet. Some people don’t like the aftertaste. If you can’t take Stevia, probably the next best thing that I would recommend, would be something like xylitol, which is a sugar alcohol. Some people don’t do well with it also. It can cause some gas or abdominal discomfort . It only gives you about 40 percent of the effect of sugar in your body, (assuming you’re OK with it), it’s often made from birch sap. It’s a good option, it’s a decent option. It helps with microbial overgrowth in the mouth. It reduces the chance of the microbes that cause tooth decay. That would be the next best option, with stevia being the number one option, as far as I’m concerned. Then if you have to go to sugar, if you have to have something in the sugar realm, I would say agave syrup or honey in moderation, small amounts are probably the next best thing. Really, we’re getting back into this sugar argument, and that problem is…Well we’ve talked it to death in previous episodes already I think. Rob: [laughs] Thanks for that. I don’t know if my mom will be too happy with your answer. Anyway, I’ll have to deal with that when I talk to her. What do we have next then after sucralose? Dr. Kevin: I want to talk about aspartame. Everybody out there probably knows about aspartame, because it’s so prevalent in our foods today. It’s been around for quite a while. It’s also known as NutraSweet or Equal. Spoonful and Equal‑Measure are other names of it, same thing. It was actually discovered by accident in the mid‑’60s, by a chemist for the G.D. Searle company, they were actually making an anti‑ulcer drug. They found this sweetness to it and found that it tasted pretty good. Then in 1985, Monsanto actually purchased that company, and then set up the NutraSweet company as a separate subsidiary. Rob: Hey, Kev, I’ve heard like Monsanto, aren’t they the guys that modify grains? Like the genetically modified stuff, and ruined that industry [laughs] . Dr. Kevin: They definitely do not have a good reputation worldwide, especially, when we’re talking about farming and the things they have done. They’re very involved in genetically modified organisms. They’re very much involved in shutting down some of the smaller farmers. They really have an agenda to…it really seems to be all about money. Yeah, that’s that same company, Rob. They own the rights to Aspartame, otherwise known as Equal or NutraSweet. Aspartame is actually made up of three chemicals, aspartic acid, phenylalanine, and methanol. Aspartic acid or aspartate is a chemical or a substance that acts as a neurotransmitter in the brain. It sort of facilitates the transmission of information from one brain cell to the next. If you had too much aspartate in your brain, it actually kills specific neurons or brain cells. That’s a bit of a concern. As a result, we’re seeing people who ingest large amounts of aspartame have some of these neurological symptoms potentially, which we’ll talk to in a bit. The other issue is methanol which is otherwise known as wood alcohol. It breaks down to form formaldehyde in the body. Formaldehyde is a deadly neurotoxin. An EPA assessment of methanol states that methanol is considered a cumulative poison due to the low rate of excretion once it’s absorbed. Wood alcohol, you may have heard of some people who actually drink wood alcohol or methanol thinking that it’s alcohol. It has a similar effect on the human body. People get drunk from it but it often kills people or they go blind as a result of it. The reason is because it’s oxidized into formaldehyde in the body. Anyway, the EPA recommends that there should be a limit of consumption for methanol of 7.8 milligrams per day. One liter, about a quart of aspartame sweetened beverage contains about 56 milligrams of methanol. That’s seven times the daily limit set out by the EPA. Environmental Production Agency, the very agency that actually is there to see that we don’t put poisons into our body. However, aspartame containing beverages do just that. Heavy users of aspartame containing products consume as much as 250 milligrams of methanol daily or 32 times the EPA limit. Now, we’re talking about something that is a neurotoxin. It’s killing brain cells. Imagine giving that to your child. You’re poisoning your child. You’re potentially damaging their brain. The other interesting thing about aspartame is that they say that if aspartame was put out as a new substance, a new drug on the market today or a new product for sale, it would never pass the restrictions that are placed on new products on the market. It just wouldn’t make it through. The FDA couldn’t allow it. Aspartame accounts for over 75 percent of the adverse reactions from food additives reported to the FDA every year. Many of these reactions are quite serious. Some of those include seizures and death. A few of the 90 different documented symptoms were listed in a report on aspartame dangers. Some of those are headaches, dizziness, seizures. Just a little aside, Rob, kind of really interesting case I had. This was a 16‑year‑old girl who came into my office. She was a swimmer. She was very athletic. She had been suffering with these very bizarre seizures for two years. She’d been to a number of medical specialists, pediatricians from many different hospitals in about a 300 mile radius of where we live. They diagnosed these seizures as non‑epileptic stress‑induced seizures. The strange thing about these seizures was that she would suddenly fall to the floor and she would engage in swimming motions like a flutter kick, overhand swimming motions, breaststroke motions. These seizures could last for up to an hour. Dr. Kevin: You can imagine that if she was in school and this was happening in the middle of class, it didn’t go over too well. Finally, they said she couldn’t come back to school until they had it straightened out. She dealt with this for almost two years. Nobody could figure out what the problem was. She came in to see me with her mom. We talked about what she was ingesting. She was drinking an average of about one Diet Coke a day. Dr. Kevin: Absolutely. That’s the thing about aspartame or any of these substances that we’re talking about. Everybody is different. Some people might metabolize this just fine. It’s those people out there who don’t that this could really ring true for and maybe help them out a lot. If ingest this for many years, what are the long term effects of it? She stopped the aspartame and never had another seizure. Dr. Kevin: Ever. That was it. That was the end of it. We could have put her back on the Diet Coke to see if they came back again, but I thought that would be cruel and unusual punishment. We didn’t go that route. She was convinced. Her mom was convinced. I don’t think she’s had one since. That’s a number of years ago. It’s a fascinating story of bizarre things that can be caused by toxicity by simply having one soft drink a day. Other symptoms ‑‑ nausea, numbness, muscle spasms. Some people out there might notice that they have some of these symptoms, and maybe consider stopping all artificial sweeteners and see what happens. Weight gain…..strangely enough also rashes, depression, fatigue, tachycardia which is a fast heartbeat, insomnia, vision problems. Vision problems are linked to the methanol issues, where blindness is actually linked to methanol. Hearing loss, heart palpitations, difficulty breathing. Another one I see quite commonly linked to artificial sweetener is anxiety attacks. If a person is prone to anxiety, they might want to look at what they’re putting into their body and their mouths with regard to these artificial sweeteners. Slurred speech, loss of taste, tinnitus which is ringing in the ears, vertigo, memory loss. That’s an important one, memory loss. You don’t want your five or six‑year‑old child when you’re feeding them a Diet Coke to have issues around memory loss. They’re not even in school yet. There are some suggestions. This is not proven yet but there are suggestions that brain tumors, multiple sclerosis, epilepsy, chronic fatigue syndrome, Parkinson’s disease, Alzheimer’s disease, lymphoma, birth defects, fibromyalgia, may all be exacerbated or made worse by the presence of aspartame. That’s aspartame in a nutshell. We could probably talk about it for another hour, but I won’t beat a dead horse. I think it’s as bad enough as it is. Rob: One thing that surprised me there when you said that it actually kills brain cells and here back in the day when I thought I was having a healthy choice of vodka and Diet Coke, thinking that there’s no calories there and I put up with some slight brain deficiencies from the vodka but I guess I was doubling down with the Diet Coke. Dr. Kevin: I think you’re more than doubling down, because it’s like taking some wood alcohol and pouring it into your vodka. Not a good option at all. Rob: Kev, I forgot, where are we next? Dr. Kevin: [Laughs] We’re going to hit on the next artificial sweetener which has become quite common nowadays. It’s Acesulfame K or Acesulfame potassium, either one. You’ll see that in a lot of the soft drinks especially, but it is used in foods, as well. It’s a potassium salt containing methylene chloride. Rob: I’ve heard about this methylene chloride. It doesn’t sound like we want to be ingesting that. Dr. Kevin: You’re right, Rob. methylene chloride is a known carcinogen. It’s been known to cause cancer and there are many studies to show that. It’s also used as a paint stripper, degreaser, and a dry cleaning solvent. This is what you’re getting in your Acesulfame K.
Rob: Actually, that’s where we heard of it when we’re talking about decaffeinated coffee. Right? Dr. Kevin: That’s the other thing it’s used for. It’s used for decaffeinating and taking caffeine out of coffee. There are a number of decaffeinating agents but methylene chloride is one of those agents. If you’re not happy with your diet drink with the Acesulfame K, then, you go to your coffee and you can get some of the same product in that, as well, if it’s decaffeinated. There are a lot of question marks about this product. It’s one of the newer artificial sweeteners and it’s undergone the least scientific scrutiny. Early studies show that there might be this link between this substance and multiple cancers in laboratory animals. Rob: Are there any other side effects they know of at this time? Dr. Kevin: Yeah, we know that long term exposure to methylene chloride can cause nausea, headaches, mood problems, impaired liver function and kidney function, problem with eyesight, and as I mentioned, possibly cancer. The other thing again and a bit of a common theme that we’re seeing here with these artificial sweeteners is that it can contribute to hypoglycemia or blood sugar dysregulation. This is very often the reason that we are using these substances. It’s because we’re trying to avoid sugar and all its negative effects. I think we should really be very careful and read our labels and see just how many of the things that we’re ingesting that these three substances weaseled their way into these foods, we just have to be very careful, I think. Rob: Earlier, we were talking about the diet soda industry and their campaign that they’re using to make people believe that these products can actually help them lose weight. We’ve had enough episodes in the past that I know where this is going. Maybe if you could talk to our listeners about that. Dr. Kevin: Yeah, what we were talking about, Rob, was a bit of a segue into what we’re talking about here, mainly about soft drinks, anything that uses artificial sweeteners. The Coca‑Cola company has rolled out this ad campaign encouraging people to unite in the fight against obesity, interestingly enough. Soft drinks are one of the major causes of obesity and weight gain in people. It’s kind of ironic, or I guess, they’re just trying to save their market share. They launched this campaign assuring people that diet beverages containing the artificial sweetener aspartame are safe alternatives to regular soda. The issue with this is that they are basically promoting their product and saying that it fights against obesity. One of the studies that they actually brought to the forefront, a study wherein it was funded interestingly enough by the American Beverage Association, which to me immediately renders it invalid, because there’s obviously a proprietary interest here. They took two groups of people. Some drank diet soda, others did not. They said that people who drank diet soda when mixed with an intensive coaching protocol, they lost 13 pounds in 12 weeks, and the people who didn’t drink diet soda lost nine pounds in 12 weeks. From that they said, “If you drink diet soda, you lose more pounds than if you don’t.” That’s a huge leap. With this issue around obesity, nowadays, a lot of people were taking note of that and they’re obviously taking it to heart and buying more soft drinks that contain aspartame. Rob: Obesity is just getting out of control. It seems to keep on getting worse. Dr. Kevin: So true, Rob. The most recent statistics actually published by the World Health Organization on obesity, they showed that in 2008, more than 1.4 billion adults 20 years of age or older were overweight. Of those, 500 million were obese. That meant 35 percent of all adults aged 20 or older were overweight and 11 percent were obese. That’s worldwide. The scary thing about some of the statistics that come out of this study by the World Health Organization is that more than 40 million children under the age of five were overweight or obese in 2012. Because we see that soft drinks are accounting for 25 percent of our sugar intake, and then, another percentage above and beyond that because people are trying to avoid sugar, they’re still using the soft drinks but they’ve got all these artificial sweeteners in them, and those artificial sweeteners are also promoting obesity. I think it’s a very pertinent piece of information here to say we need to avoid these things across the board. We can’t touch diet soft drinks. We can’t drink regular soft drinks because both of those are very very unhealthy for us and cause a ton of problems. According to this study that was put out by the American Beverage Association, if you drink your soft drinks that contain aspartame, you’re actually going to lose weight. The issue is, Rob, that the science clearly shows that this is not true. Researches repeatedly show that artificially sweetened no or low calorie drinks and other diet foods tend to stimulate a person’s appetite, thus, increasing the craving for carbohydrates and it stimulates fat storage and weight gain. Artificial sweeteners basically trick your body into thinking that it’s going to receive sugar or calories, but then, when the sugar doesn’t arrive, your body signals that it needs more which results in carbohydrate cravings. Most people give in to such cravings and end up overeating on other foods and snacks. The amazing fact is that you potentially gain more weight with these artificial sweeteners than if you were eating or ingesting sugar in the first place. Just a couple of studies I just want to show to back this up. There was a study done in 1986 published in Preventive Medicine. It was a big study. It looked at 78,700 women aged 50 to 69 for one year. Artificial sweetener usage increased with relative weight and the users were significantly more likely to gain weight compared to those who did not use artificial sweeteners, regardless of their initial weight. Another study that was published in Physiology and Behavior in 1988, it determined that no calories sweeteners produced significant changes in appetite and of the three sweeteners tested, aspartame produced the most pronounced effects in actually increasing people’s appetite. Other studies, Physiology and Behavior 1990, they found that aspartame specifically had a time dependent effect on appetite, producing a transient decrease followed by a sustained increase in hunger cravings. What that means is if you ingest something with aspartame in it, you may initially actually feel like not eating. This is where some of these companies actually said people lose their appetite if they ingest aspartame. But the net effect is that down the road, there is a sustained or prolonged increase in hunger overall. The person generally is more hungry. There are many other studies out there that actually show conclusively that aspartame and these other artificial sweeteners are deleterious to our health. I could go all night with these, but I think the point is made and if you’re not convinced in what we’re talking about today, you should really investigate this for yourself. Even if you google these three artificial sweeteners for yourself, look at the pros and cons and obviously, try to get an independent assessment because obviously, if you’re going to the American Beverage Association site, they’re not going to have anything bad to say about these artificial sweeteners. I think if you look into it for yourself, you’re going to find out that these things are really poisonous, and we should not be putting these things into our body ever. And most importantly, we should never feed them to our children. Rob: What’s interesting is when you look back at the Coke line up that they’ve had. They have a regular Coke and then regular Coke decaffeinated, Diet Coke with caffeine, Diet Coke decaffeinated. All four of them are going to just cause negative effects. Dr. Kevin: So true and we haven’t really talked about the fact that there’s sugar in most of the Cokes. There are artificial sweeteners in other Cokes but then there’s also caffeine. We’ve already talked about the negative effect of caffeine. Rob: Negative effects of even the caffeine free. Dr. Kevin: Exactly. The issue really is more about there are no good choices. I think we’ve talked about this before that if you have to have a soft drink, if you have to have something that’s sweetened and that’s bubbly, there are some alternatives out there. There is a product called Zevia, which is made with stevia. It is a carbonated drink. I don’t recommend that it is a great option, but it’s the best option that I’ve come across. You’re not going to have to worry about the side effects potentially of these artificial sweeteners or the extreme negative effects of all the sugar found in those soft drinks. Rob: I think this has been a really eye‑opening episode that we’ve had. You’ve had some great studies to kind of back it up. As you said for the listener, take it upon yourself to go and just research this or maybe even do just a little bit of your own little test or challenge. Drop all your diet drinks for a month and see if those headaches go away, see if those cravings for carbs go away, and see if you maybe lose some weight, or just feeling better. Dr. Kevin: That’s absolutely true, Rob. For some people who don’t want to give it up for themselves, then I say to them, “If you have kids, don’t let your kids ingest these substances. Don’t let your kids get into soft drinks.” Because when we really narrow it down, soft drinks kill people in the long term on a regular basis for a number of different reasons. Don’t let your kids get into that. Get them used to herbal teas. You can make lemonade using stevia as a sweetener. Water is the best thing you can give them, purified preferably. Keep them away from soft drinks. Rob: This is great, Kev. Thanks so much for all the research that you put into this show and we look forward to the next one. Once again, thank you for listening to the Your Best You Today radio show. We hope that this helps you. We hope that it helps your kids. If it does, please tell someone else. Check back soon for another episode of the Your Best You Today online radio show. I’m your host, Rob Heppell, together with Dr. Kevin Jackson. We’ll talk to you soon.